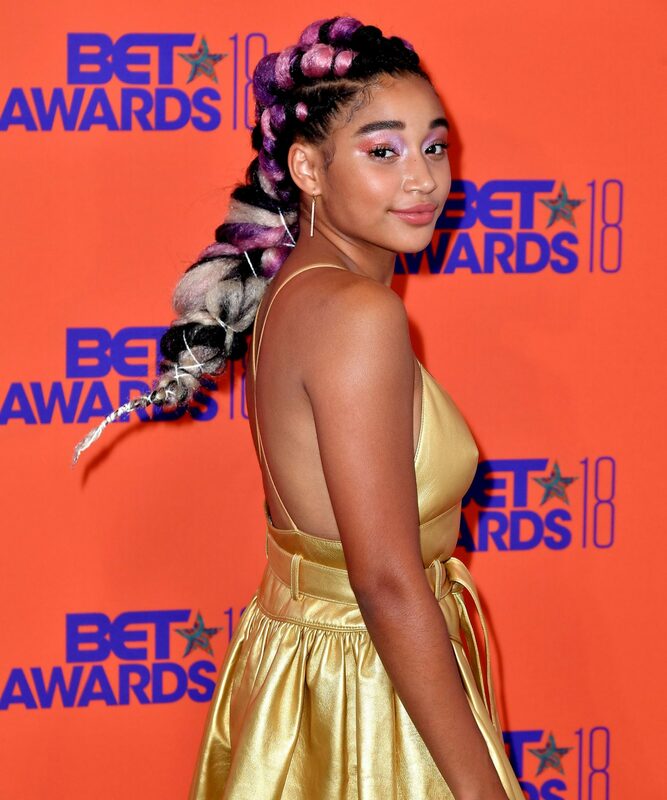 HomeLifestyleFashionDid You Notice All The Rainbow Hair At The BET Awards? Across the world, from the streets of Greenwich Village in New York City to Guatemala City, Mexico, Pride Month parade revelers celebrated love in all its beautiful forms. And surprisingly, the celebration continued at the 2018 BET Awards in Los Angeles, too. Granted, there were plenty of out-and-proud performers and attendees — including Amandla Stenberg, Lena Waithe, and Janelle Monáe, who was fully decked out in rainbow herself. But we’d be remiss not to note that homophobia within the Black community (and in the music industry) is still all too real in this day and age. Nipsey Hussle, who closed out the pre-show, once proclaimed that gay Black men weren’t as “strong” as straight men. And Offset, a member of the Migos (who took home an award for Best Group tonight) issued an apology after rapping that he “cannot vibe with queers.” Both of these instances took place in 2018. That’s why the subtle representation on the carpet and during the performances — some in the form of rainbow hair — is a huge, huge deal. It’s a small step, but hopefully one that’s reflective of an industry-wide change that’s coming soon. See how stars waved their rainbow flags, ahead. “Because why knot,” Vernon François described of Amandla Stenberg’s plaited look. The actress officially came out earlier this month in a Wonderland Magazine feature. 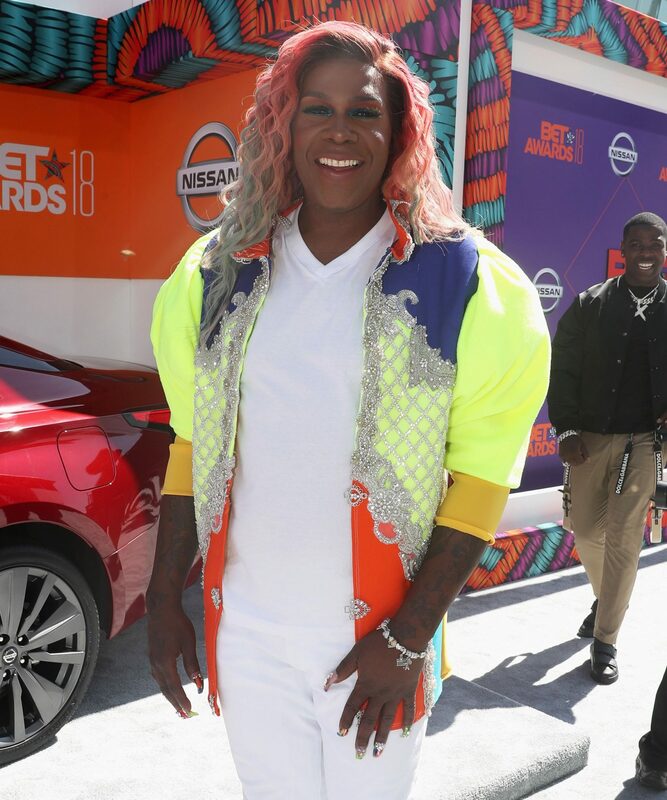 “I’m so thankful to be who I am and show my true colors!” Big Freedia (who kicked off the pre-show) captioned a photo on Instagram this weekend. Nicki Minaj’s Barbz noticed the spectrum of colors painted on the sides of her slicked-back ‘do.